The TwinShooter is an amazing piece of kit that allows you to mount two camera and long lens systems onto a Flexline head. TwinShooter is a special mounting plate that fits directly onto the FlexLine PRO and EXTREME heads and allows you to mount two long lens based systems on one head. This will allow you to shoot with either two systems that are setup for different types of shot (one portrait and one action) or two different compositions (one tight portrait and one much more wide angle). 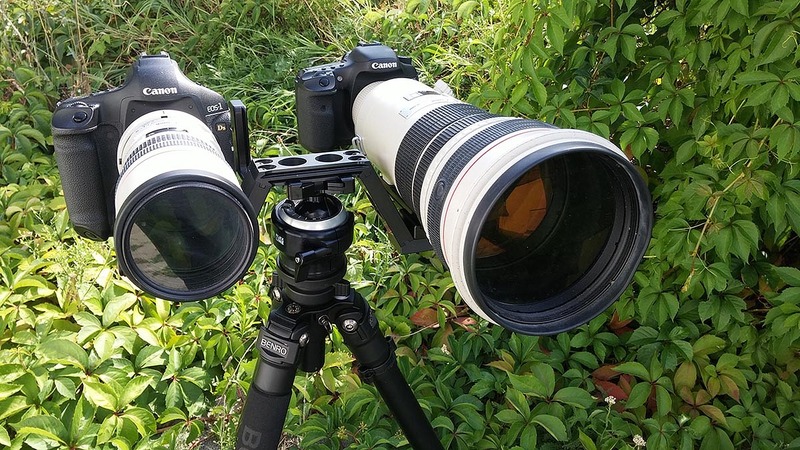 So a typical combination would be a 500mm lens and 100-400mm lens. No more scrabbling around changing lenses, both are mounted and ready to go and of course you get all the levelling and balancing benefits of a Flexline heads. It's an amazing piece of kit! I use TwinShooter a lot, especially when I am working in a hide. It gives me the chance to shoot a tight portrait and then a more wide angle shot with the shorter lens. I find it saves a lot of time messing around changing kit. 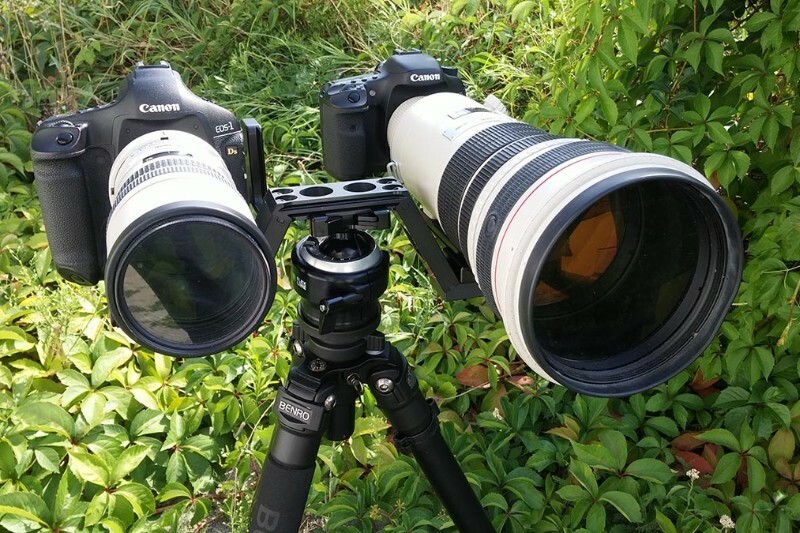 Recently I have been using it with the 500mm lens setup for portraits (low ISO, slightly higher aperture) and the second wider system setup for high action. This saves messing around with camera settings for each shot. I've used it very successful with Bee-Eaters (video following soon) and Barn Owls. Check this video on how I used it for Red Squirrels. It is not possible to mount your camera onto the Twinshooter head, it is for lens mounting only.